FORT LEONARD WOOD, Mo. 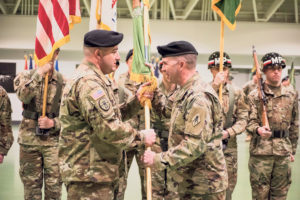 (Jan. 31, 2019) — The U.S. Army Military Police Corps welcomed its 14th regimental command sergeant major during an assumption of responsibility ceremony Friday at Nutter Field House. Regimental Command Sgt. 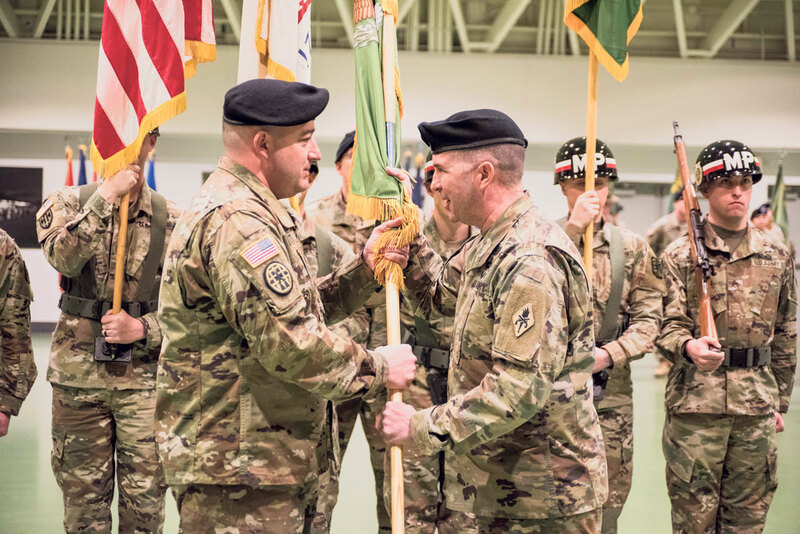 Maj. Michael Bennett receives the regimental colors from Brig. Gen. Brian Bisacre, USAMPS commandant, during a ceremony held Friday in Nutter Field House. U.S. Army photo by Dawn Arden/Released.